When Will and I found out we were pregnant, I still had never found an OBGYN down here in South Florida. So, I made an appointment with a doctor that was in our network. 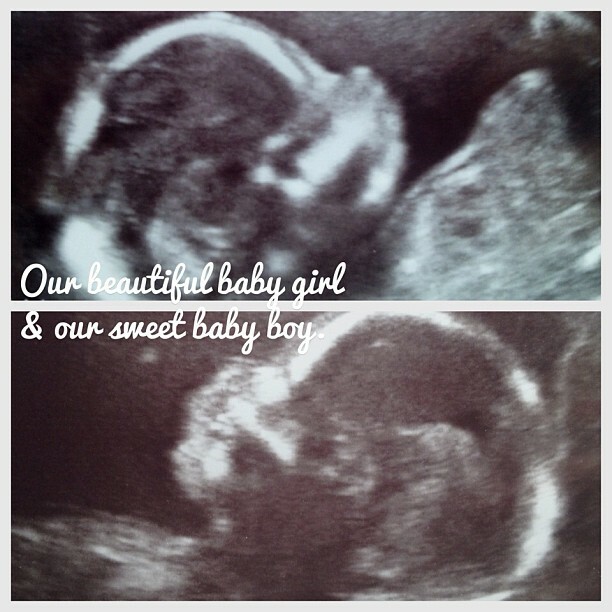 He couldn’t see me until June 1, 2012, so we waited all of May to confirm our pregnancy. (even though my mom guessed it way before the appointment.) love you mom. So, we go to our first appt. and the doctor was extremely nice. He did a full check up, which was also hysterical with Will being in the room. (another story for another day) Anyways, this doctor had a heart attack a few months before, so he stopped doing OB appointments. He referred me to another doctor (let’s call him Dr. Terrible Experience) to confirm the pregnancy. We were scheduled to see Dr. Terrible Experience, on Monday, June 11, 2012. A day after Will’s 26th birthday! We show up for our appointment, and it’s the most disorganized office I had ever been in. It was extremely overwhelming, and we should have left right away, but I honestly just wanted to hear from a doctor that I was officially pregnant. So, we decide to stay. He turned the screen towards me, and there they were. Two little gummy bears. I’ve only heard doctor’s count babies with the alphabet in the movies or tv. I never thought I would hear, “Here’s baby A, and here’s Baby B”… crazy! I start crying right away, and my whole life is flashing before my eyes. I’m thinking, how in the world is this going to work? Who does this happen to?! I look over at Will, and he’s watching the screen laughing. He was completely happy, knowing everything in the world was going to be okay. He’s my rock, and I’m so thankful for how opposite we are when it comes to a lot of things. We immediately start calling our families and friends to tell them the news after we left the doctor’s office. We ended up finding an incredible OB that we go to now! He’s Dr. Amazing! Even though I couldn’t stand the man that told me I was having twins, he will forever be apart of my life. He’s the one that told us our lives were going to change for forever. Thanks Dr. Terrible Experience! **Side Note: If you are pregnant, or going to be someday. Do your research and ask your friends about great OB’s. Don’t just go to the first one you see on a list. Some people are out to get your money, and you feel more like a number than an actual person carrying a person. Also, talk to your spouse about what doctor you are seeing. If they don’t feel comfortable, consider finding another doctor. If you live in South Florida, email me, and I’ll let you know who our doctor is. Will and I are so thankful for him. He prayed with us at our first appointment, and just prayed that God would be glorified through this pregnancy and through these sweet little babies. I couldn’t stop crying after that appointment. I was so thankful that God blessed us with a doctor who’s main goal was to make sure God was being glorified! Hallelujah! Jesus, we are so thankful. That night, we went out to dinner for Will’s birthday with my brother, and friends. We got to tell everyone the news, and it was really exciting. We are thankful for friends that are our family down here in SoFlo. : ) We love you! 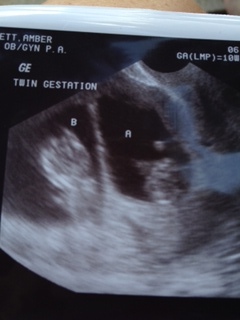 Needless to say, I actually took the news of having twins a lot better, than I did when I found out I was pregnant. My pre-pardum depression, was starting to fade. DISCLAIMER: This post is about throwing up and the ugly side of being pregnant. Don’t read it, if you throw up from just reading about throwing up. haha… Just an FYI. At week 6, I got pretty bad morning sickness. Every time I brushed my teeth, there went my breakfast! It was unlike anything I ever felt before. It’s weird because when you are nauseous, you can usually control that feeling of just not feeling so great. When you are pregnant, you can’t control it. At the time, I didn’t know I was having twins, but it makes sense now. The feeling of needing to throw up was so intense and so strong; I could never control it. Will is the sweetest husband in the world. He’s so patient, and never makes me feel like a nasty person for throwing up, and any other kind of sickness that came my way. It was gross, and it lasted up until week 16 or 17. 1. It’s normal and it means everything’s working right! Hooray Sickness! 3. Lemon Drop Candies – sucking on these candies when I was feeling nauseous always helped. 4. Don’t feel embarrassed. It’s completely normal. Just make sure to write down the funny stories that happen during this time. 5. If you are one of the lucky ones that doesn’t have morning sickness. Go away, we don’t want to talk to you… Just kidding. Will has definitely seen me at my worst. Throwing up and peeing your pants (or on the ground, that’s another story, for another day) is not the most fun, but we have a lot of funny stories because of it. We always laugh after the fact. One time, he was bending over the tub to wash his hair, and I knew I was getting sick all of a sudden. When I bent down to get sick, our butts were touching as he was washing his hair. It was hilarious. He turned around really fast and looked at me; I just said, “Don’t worry, I’m almost done. Sorry.” He had to leave the room for a bit. These stories are hilarious to us now. We make fun of my sickness all the time. I now get sick about once a week if that (I’m 21 weeks), just when I brush my teeth. I’ve tried everything – I’ve changed brushes and toothpaste, but those babies just think it’s funny when they make me sick. If they’re anything like me or Will, we are going to have our hands full. They are going to be little ornery ones. On Sunday, April 29, 2012, I thought something was telling me that I was prego. So I peed on the stick, and handed it to Will. If you don’t know, I’m an event planner. That’s what I do for my job. I’m a control freak, planning every last detail and preparing for “the worst case scenario”. My events aren’t perfect, I learn so much every time another one comes and goes, but I will tell you I work so hard and enjoy the preparation part so much that the outcome is so rewarding. Having a baby! I have no idea about any of this. Besides what my sister has gone through, people can tell you what to expect, but I don’t think you’re ever really prepared for the life change of a child. Right??! All I wanted to do was crawl up in a ball, and sleep until it was all over. I didn’t want to be apart of the process, because well, frankly, I knew I wasn’t going to be in control of any of it. Needless to say, I was not happy about being pregnant in the beginning. 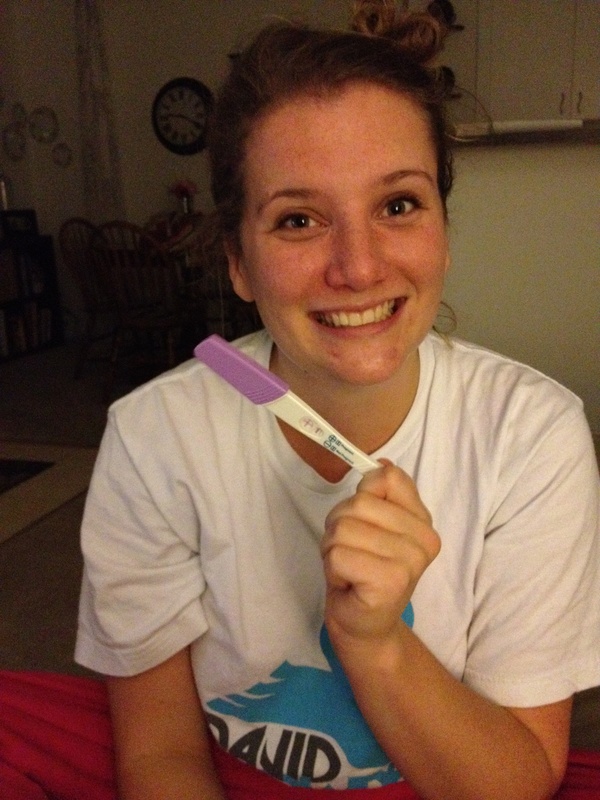 Three days later, my friend Jessica and I go to Publix to get some ice cream and I picked up another pregnancy test. This is one of my favorite memories, because we were both in very casual, almost pajama like clothing. Sweats and a t-shirt. I have my hair on top of my head, and I didn’t have my rings on. 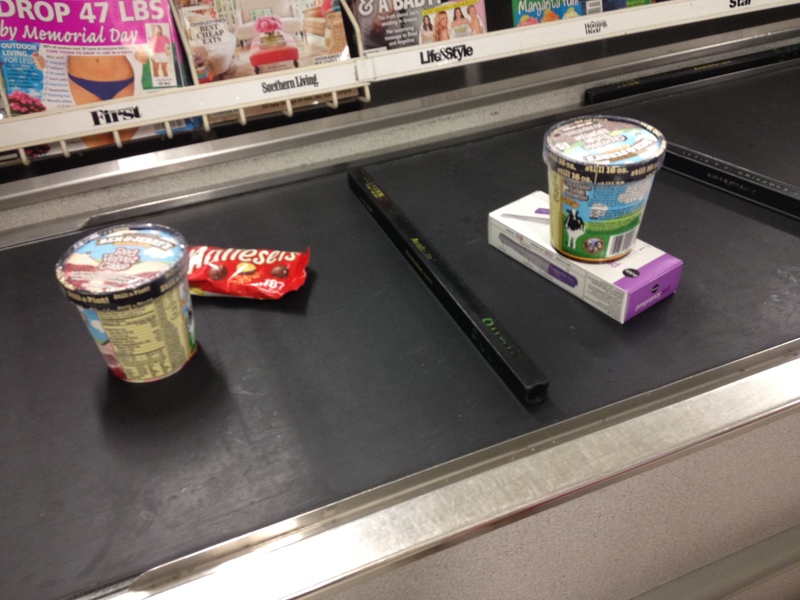 I looked about 15 years old, when I checked out with my Ben & Jerry’s Double Chocolate Fudge Ice cream, and my pregnancy test. My friend Jessica was laughing the entire time, and took a picture of what was going down. We went back to my house to watch a movie, and I took the second pregnancy test. Didn’t take but one second and that thing was bright blue with a plus sign! Confirming, that yes, Amber, yes, you are with child. So that’s the story of how we found out we were having a baby. That’s when we thought we were having one little, sweet child. So, I’ve been so busy and preoccupied with work and worrying (It’s my special talent, ask anyone), that I haven’t even written down anything about this pregnancy, or what we have been through the last 5 months.